Office Network Installation, Cabling, Audio/Video Setup, Phone Systems - Mark IV Communications, Inc.
Mark IV Communications understands how important it is to get your many devices connected, so that your business can continue to operate and be productive. 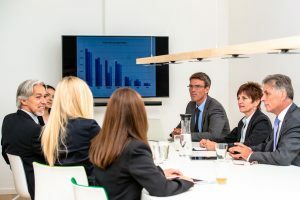 We pride ourselves on setting up user friendly solutions for you and your employees, and whether you are presenting to a new client, keeping your team updated, or displaying the latest stats, we have the knowledge and tools to keep your technology connected. If you need to set up a new office or connect new devices, call for your Audio/Visual evaluation today!